I have not posted in more than two weeks. Although I have 4 barely there drafts waiting, including one guest blog and one compilation from “research” (sort of), I couldn’t get myself to continue with my writing. Somehow, I was waiting for a sign to tell me which blog to complete. I also woke up to one text message from John this week. Not a good one, I must say, but maybe good enough material for writing, or maybe not. I realized how my last 3 blogs ("The One When I was a Trumpster," “The One With My Dating Profile- A Short Read,”” "The One With Thurgood Marshall") somehow had a common theme of antipathy and sarcasm. It was quite draining to read them back-to-back that I didn’t want to write another one with the same thought. I can’t seem to find my “muse” lately. At dinnertime yesterday, Brian asked our guests if anybody was going to watch the Boston Marathon tomorrow. 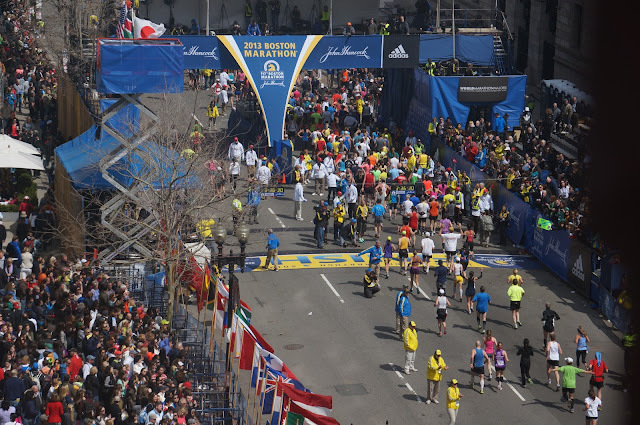 I knew tomorrow is Patriot’s Day, but I totally forgot about the marathon. Thank you, Brian! I got my writing mojos back! 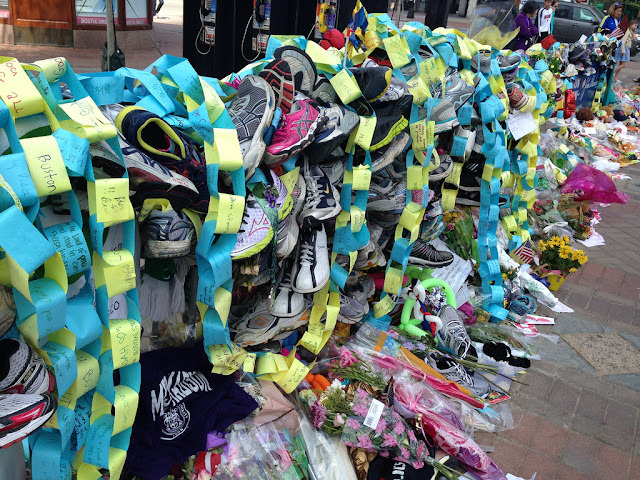 On the fifth anniversary of the day of the 2013 Boston Marathon Bombing that left three dead and more than 260 wounded, I reflect on Boston’s most celebrated rites of spring that transformed a scene of cheers and triumph to one of cries and carnage. It was April 15, 2013 around 3:30pm, I was 3rd in line at a cash register with my overfilled grocery cart waiting for Samantha to come back from aisle 7, when my phone rang. Felicia: I’m at the grocery store. What’s up? John: You need to go home! I just heard about the bombing at the Boston Marathon! Are you in Boston? Felicia: What bombing?! I’m at the store near my house. What’s going on? John: Thank God! A couple of bombs exploded near the finish line of the marathon, and I know how close your office building is to that place. I got scared. Felicia: Oh no! I can hear people here talking about it now. Oh my God! John: Where’s Brian? Samantha? 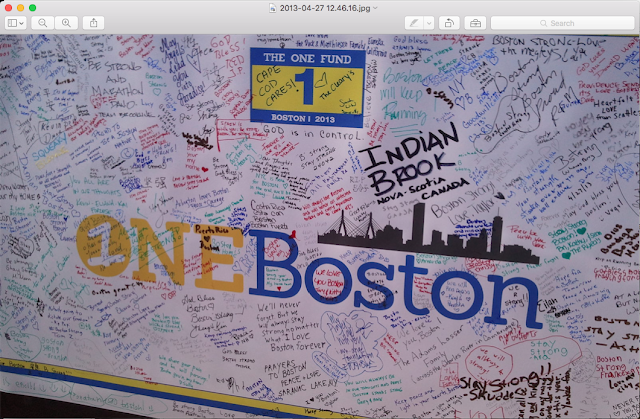 Did anybody go to Boston for the marathon? Felicia: No. Brian’s home and Samantha is here with me. We’re about to pay. John: Please go home now. Go straight home. I will call you later. Felicia: Okay. I’ll call you when we get home. I love you. John: I love you too. Be safe. Now go home. We were about 11 miles from Boston at that time, but like everyone else, I was ill at ease. At the same time, as selfish as it may sound, I was still feeling moved and special, that “someone” was so worried about me. I never had that feeling before. As the oldest sibling and a single mom of two, I always was the one who checked up on people and made sure everything was okay. Of course, many family and friends checked on me as well, but John’s concern was different. For the rest of the day, we stayed home. Our TV and computers were on all night. Social media started posting eerie and heartbreaking photos. John and I were either texting or talking on the phone. Just hearing his voice made me feel more safe. I liked how he made me feel like I needed someone. I liked that he made me feel I did not need to be alone anymore, that someone is checking on me every now and then. The next morning, I woke up to the news that the entire city was in lockdown as police searched for the suspects in the bombings. 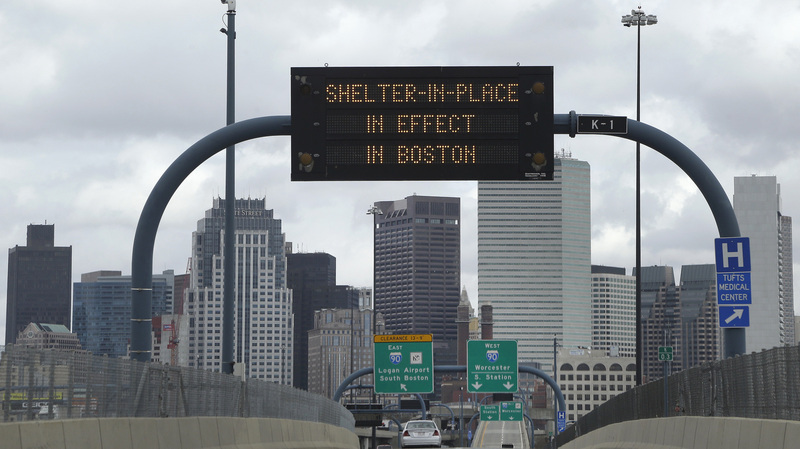 For five days, the unthinkable became routine in Boston. With reinforcement from different cities and states, police and agents mounted the largest manhunt in New England’s history while dissecting its most complex crime scene. I also remember this time, 5 years ago, I was hosting Omar, a nice young scholar from Saudi Arabia who came to Boston to learn English. He had been staying with us for about year. My family and I grew fond of him. Brian and Mohammed played video games every night, and then basketball or soccer in the weekends. 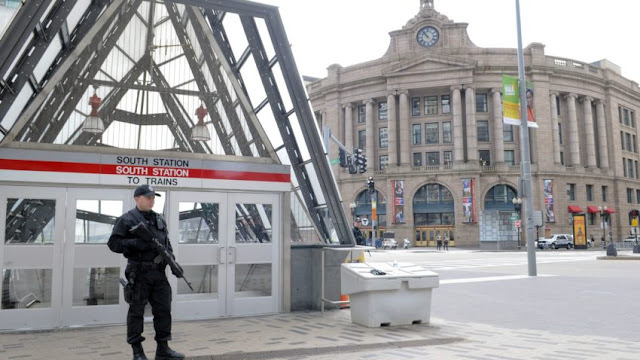 Three days after the bombing, Omar and Brian wanted to go to Boston and check out downtown. Like any curious young man, they wanted to see the bombing site with all the police activity and the frenetic media. It took me a while to convince Mohammed to stay home, especially because police were doing extensive security checks and were targeting young Middle Eastern men. He said, “Ms. Felicia, but I’m just a student and they won’t find anything on me anyway.” My response was, “I know that Omar, but there is a good chance that they will check you and right now, they’re doing it aggressively. TV shows random people being handcuffed and searched from head to toe. I don’t want you to have that experience.” Thankfully, these two teenagers listened and stayed home until the city lockdown was over. Almost two weeks after the marathon, metal barriers around the bomb site were still up, but business was almost back to normal including at my job. During my lunch break, I walked two blocks from my building to Copley Square where piles of shoes, race bibs, T-shirts, flowers, banners, letters, balloons and stuffed animals lined the metal barriers. I saw and felt the outward expression of the city's grief. I wrote a peace dedication on this huge One Boston poster, “from John, Felicia, Brian, Nadine, David and Samantha” and sent a picture of it to John. As I searched for old emails from John and images for this post, (I’m actually glad some escaped the “delete” button), I stumbled upon old Facebook messages from 2014-2016. Knowing what I know now, I found messages that were just so strange to read. It’s almost like I was reading exchanges from two people who did not exist at all. I love the song. Lets practice! After you submit your Loyola University application. It’s due next week! I did and u didn't respond!! When I wrote “The One with Jersey Boys: Valentine 1,” I admitted that was painful to write, and that my friend Karol would say, “At least you have good memories of him.” But then, this is the same man who was recorded by a scheming woman repeatedly saying how incompatible we were and how he never loved me. ” Well, I know this looks like another painful stroll down memory lane, but I must say, it wasn’t that bad! This must be a good sign. As I write, I felt like I just see my past with him as good writing material. 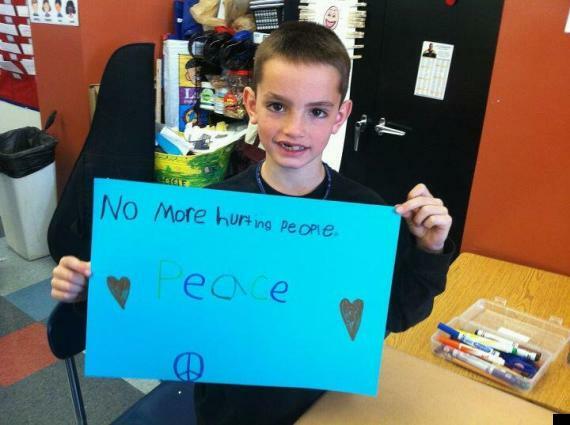 In the rabid social media traffic that followed the Boston Marathon bombing, a photograph of Martin Richard, the innocent 8-year old boy killed on that horrific day of April 2013 emerged and went viral. It was a photo of Martin holding a poster he created in 2012 that reads “No More Hurting People. Peace” This quote became an international emblem of that day’s tragedy. How befitting is this to what I am feeling right now. In the beginning of this blog, I wrote, “I have not posted in more than two weeks.” In addition to not having my mojos, I was actually busy with work and with another interview at another university in Boston, where I bumped into Omar. Omar is now 24 years old and a dentistry student at this university! I can still remember him as this slightly scrawny kid asking me to help him with his English. We didn’t get to chat much as he was running late to class and I was being given a tour of the school by a “future colleague.” What a delightful week, indeed! 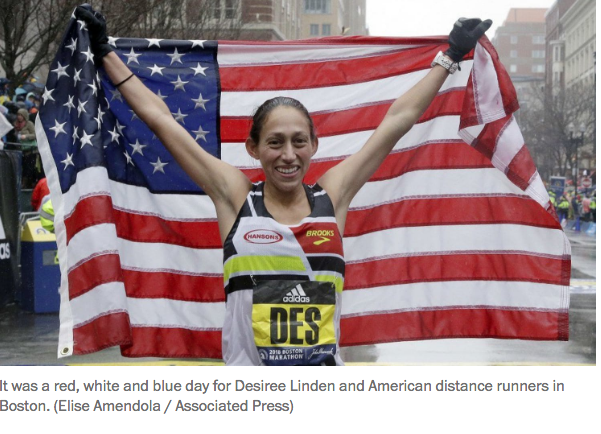 "For the first time in 33 years, an American has won the Boston Marathon. It was a rainy, gloomy day for the runners, but Desiree Linden took the women's race Monday with a time of 2 hours, 39 minutes and 53 seconds." I've been following your stories. It looks like this guy did love you at one point, perhaps more than he loves the other woman. But then again, covert narcissists are not really capable of love. Looking at his history, he might want to keep this OW just to make himself look like less of a serial cheater, which explains his lies to her of not ever loving you just si she doesn't leave him. He is sticking with this OW to save face. That, or it's too late for him to jump ship. OW is very sketchy. Boston Marathon! I love how you make your posts relevant to current events. I think who he is now is the real him. Narcs have really good honeymoon periods until the new supply comes in. Good luck on the new job. It's amazing how you remember deeply rooted emotions and how you relate them to what is trending, like the Boston Marathon, Trump ,the Black Panther and the Oscars. Keep on writing! The Boston marathon bombing led to the slogan "Boston Strong." I can see you coming out strong from your tragedy! Great post and please keep writing! 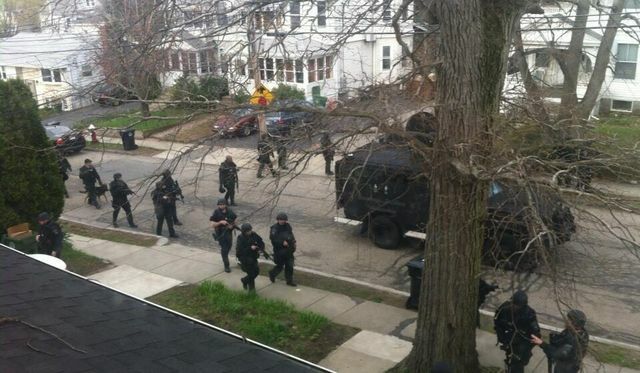 I remember the brothers were supposed to hit NYC next.Great job Boston/State police for handling that! Your student is lucky to have you as his host. It must have been exciting to see him after all those years. Love your stories!